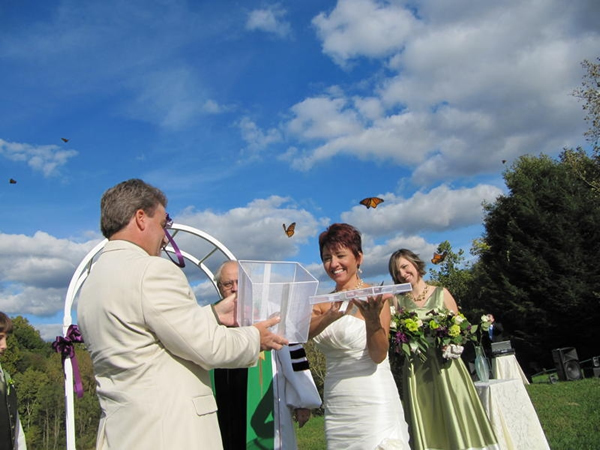 Wedding Butterfly Release Packages - Wedding Butterflies for butterfly release. 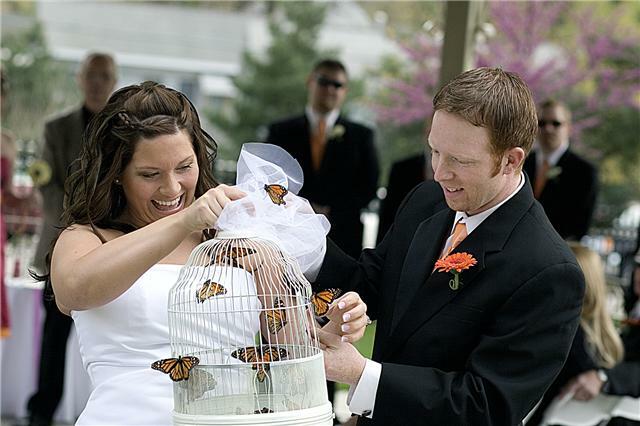 Enhance your wedding with a Butterfly Release Package from our Wedding Butterflies Collection. 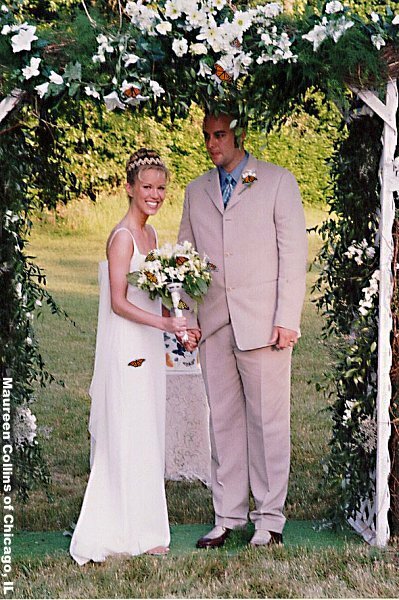 Live Monarch Butterflies may be released after the wedding ceromony, at your wedding reception or anytime during an outdoor butterfly wedding. Photo-moment tip! Releasing Live Butterflies as you exit the Church adds a dramatic effect that your guests will talk about for years to come... and makes for an excellent photo opportunity! 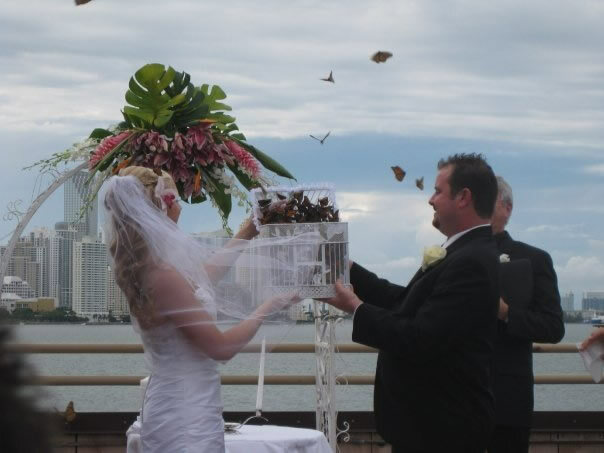 We are confident that you will enjoy a live butterfly release at your wedding. 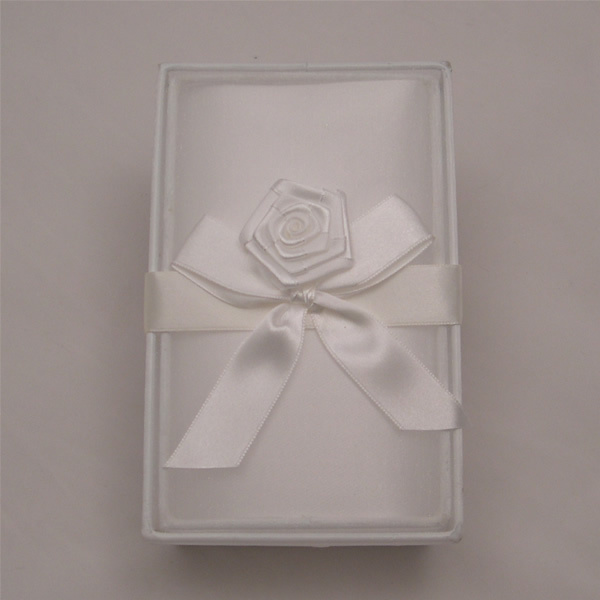 Select the perfect presentation for your wedding! Click Here to Check for online discounts!! 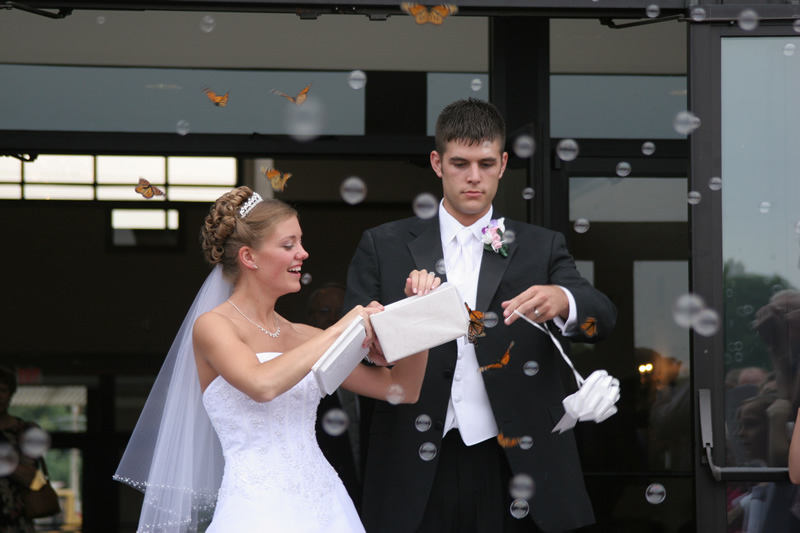 This Wedding Butterfly Release Package is the Perfect butterfy presentation for a small wedding, a Quice, or a Sweet Sixteen party. Fifteen Large Monarch Butterflies in a decorative accordion style Mass Release Box. No transferring of butterflies is required. Just pull the ribbon to release butterflies. Fifteen Large Monarch Butterflies in customized butterfly release Envelopes. Simply e-mail us an image along with the text that you would like printed on the envelope. Order Additional Monarch Butterflies with this Package $7.55. Ordering additional butterflies may increase shipping costs. 25 Monarch Butterflies and one Silver Butterfly Release Chest. 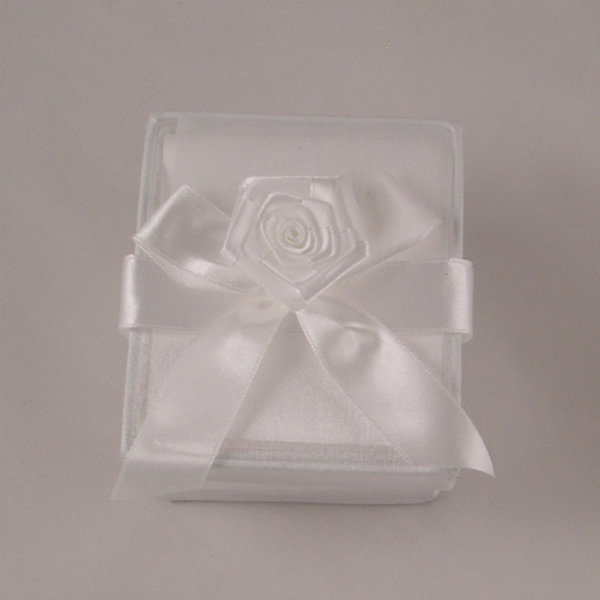 This Mass Butterfly release box is metallic silver and trimmed with a white ribbon and a rose. 25 Monarch Butterflies and one Wedding Butterfly release cage. 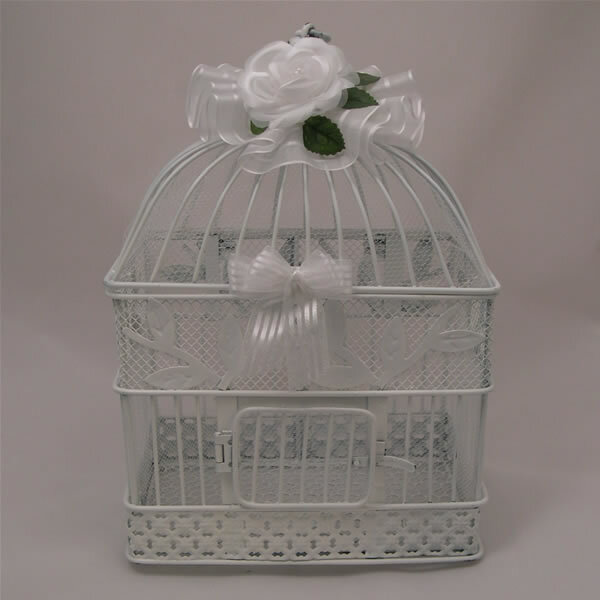 Place this elegant cage on the Gift table or hang it near the guest book for your guests to enjoy. 30 Monarch Butterflies and One Butterfly Release Basket. 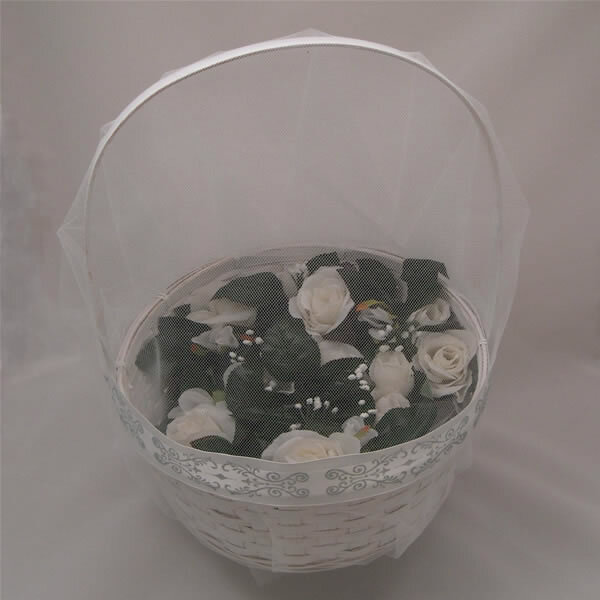 This white basket contains white roses and is trimmed in white. Thirty Monarch Butterflies and one Satin Butterfly Chest. 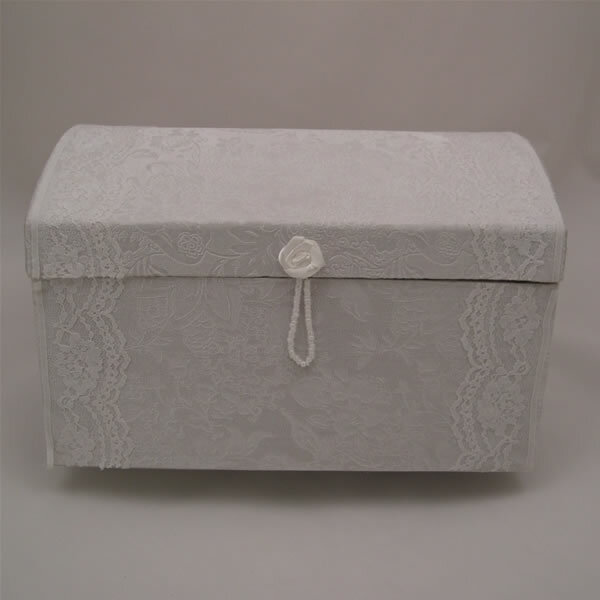 This mass release box is covered with white satin and trimmed with white lace and a satin rose. 30 Monarch Butterflies and one accordion style (instant) Mass release box. No need to transfer butterflies. 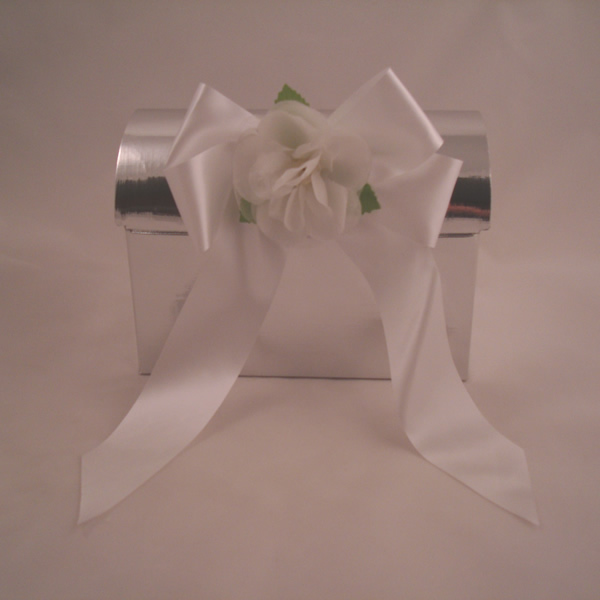 Just pull the ribbon. Additional Monarch Butterflies with this Package $7.25. Ordering additional butterflies may increase shipping costs. Celebration with style! 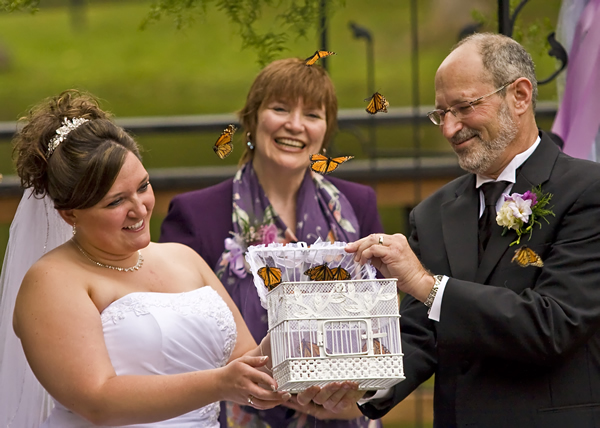 These Wedding Butterfly Release Packages Include 50 Monarch Butterflies and your choice of the following presentations. 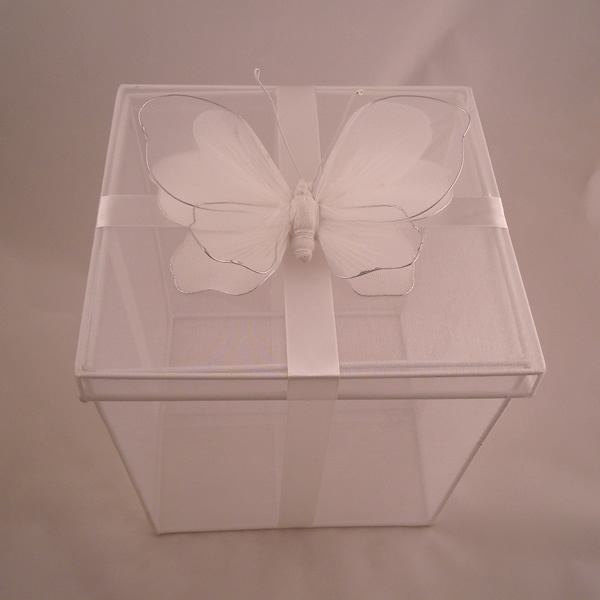 Fifty Large Monarch Butterflies and One 10"x10"x10" organza release box. A great way to display the butterflies prior to the release. Fifty large Monarch Butterflies in our designer card stock square individual release boxes. 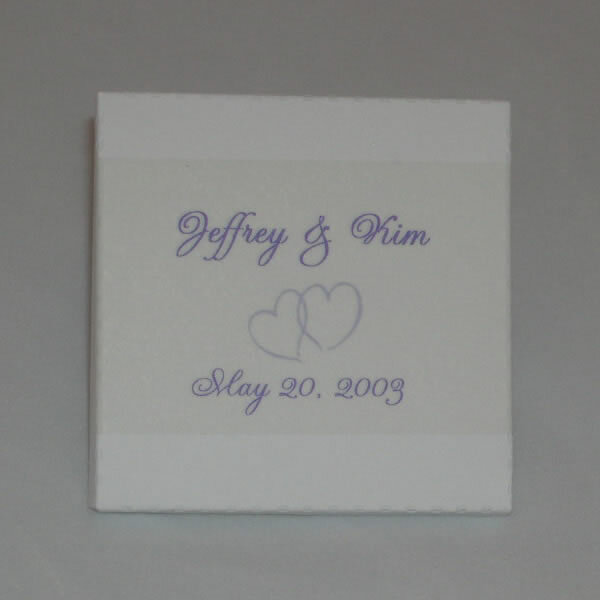 Includes Customized picture and text. Simply e-mail us the image & text you desire. Additional Monarch Butterflies with this Package $7.00. Ordering additional butterflies may increase shipping costs. Additional Monarch Butterflies with this Package $6.75. Ordering additional butterflies may increase shipping costs. 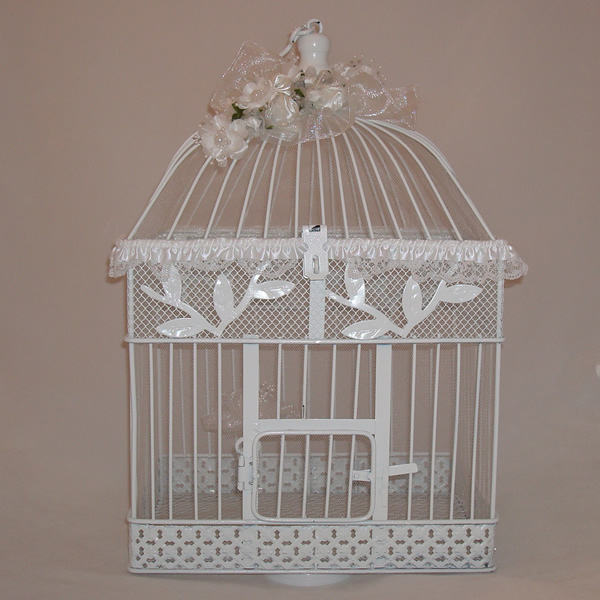 One hundred Monarch Butterflies in Customized envelopes and One White Butterfly Display cage. Simply e-mail us the image and text that you want placed on the individual Butterfly Release envelopes and we will create a unique Butterfly Release presentation just for you. You get to decide how many butterflies are passed out to guests and how many go on display for all to Enjoy. Additional Monarch Butterflies with this Package. $6.50. Ordering additional butterflies may increase shipping costs. * Please note that the shipping quote covers the shipping of your live butterflies in an insulated cooler via Overnight priority weekday delivery.